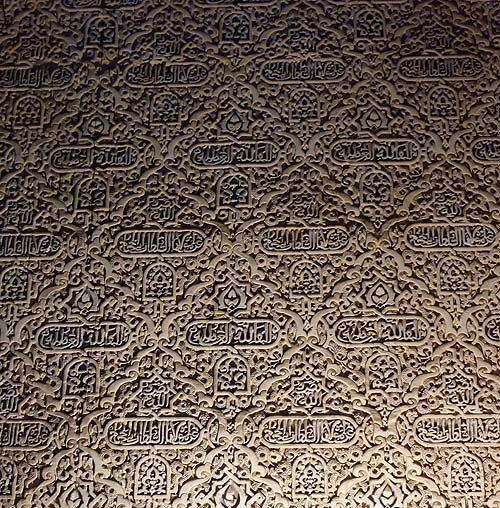 Very short trip this time, mainly to visit the Alhambra. 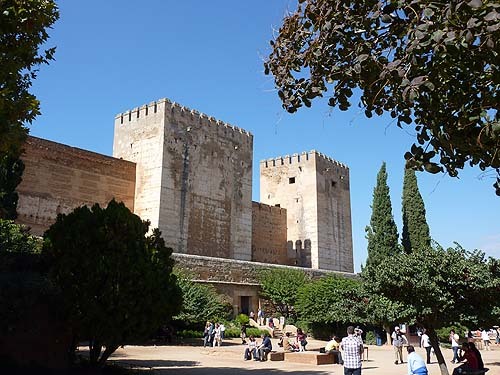 As with just about every major tourist destination in the world, the Alhambra gets very busy these days, and it is essential to prebook. If you turn up on the day you may not get in, or just be allowed entrance to the gardens only. 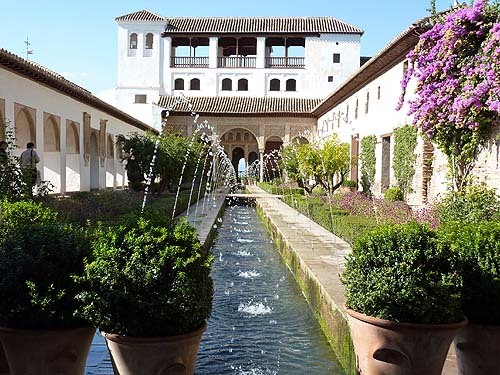 Pre booking available here, you will need to specify a time for your visit when booking – particularly for the Nasrid Palaces which are timed to the half hour. 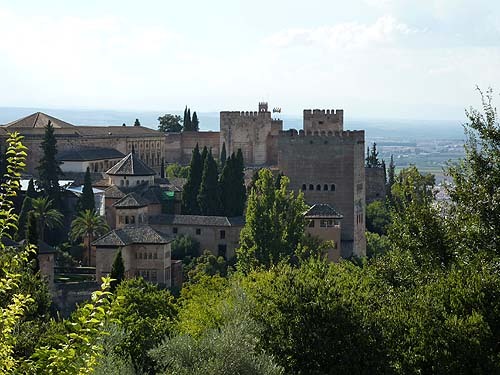 Full details on the Alhambra and its history here. 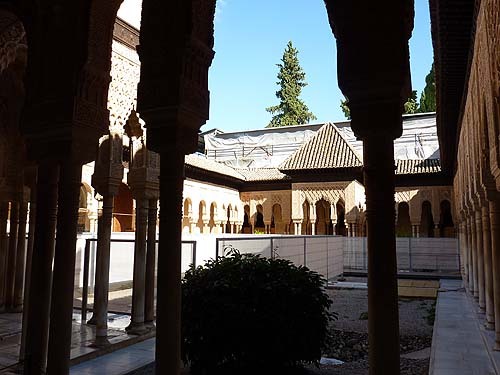 Patio de Leones – the one with the lion fountains, undergoing restoration to both the courtyard and the lions themselves. The lions have been cleaned up and can be viewed in a side room. Work has been ongoing since 2002. 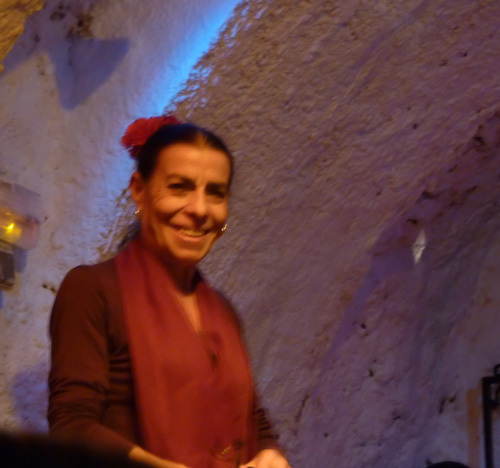 Now, one of the big things to do in Granada, is to see some Flamenco in the Gypsy caves of Bario Albaicin. Is it touristy? You bet… but don’t let this put you off, it’s also great fun. Like a lot of things that are a bit mysterious, Flamenco is surrounded by myths, legends and all sorts of associated hoo haa. People will take deep breaths when you tell them you intend to visit this or that venue, and say that its just for tourists and rubbish etc etc. I have been to quite a few of these places now, all over Spain – and whilst not claiming to be any kind of expert, I can say that I thought some of these performers were good, indeed very good. It is aimed at tourists, and there was a slight feeling of ‘business as usual’, but it was well worth going. Prices vary between 26 and 30 Euro. 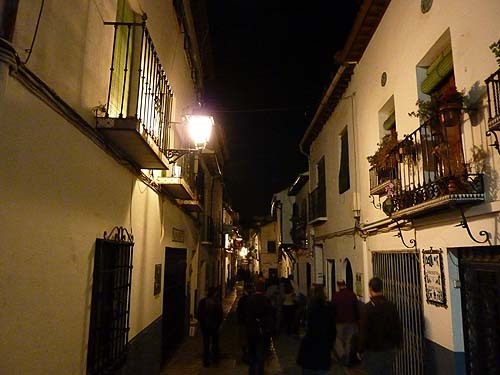 Most of these trips pick you up from your hotel and will drop you back after the show (or in town if you prefer), they include a drink and usually a guided walk around the Bario Albaicin on the way there; frankly its almost worth it for this alone as you get to the the stunning view of the Alhamba (as above). 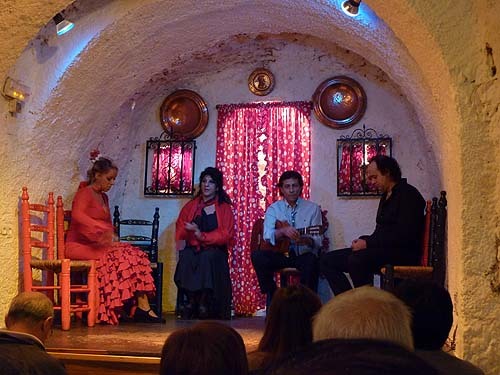 There are four main Gypsy Flamenco venues and they all seem to be very near each other, we went to Los Tarantos.